I was born into a loving home with parents of two different religions. My mother, in her late twenties, had come to know Christ as her Saviour and began attending Cleveland Baptist Church. During this time, my father continued to attend St. Bridget’s, a Catholic church. When my brother and I were young, we were made to attend both churches on an every-other-week rotating basis. Having heard the plan of salvation in Sunday school, I made a profession of faith as a very young girl. My father allowed me to attend Heritage Christian School in the third grade, as long as I continued to attend Catholic catechism classes. When I turned twelve in the sixth grade, my father finally gave me the choice to choose which church I wanted to attend. That year, I began attending Cleveland Baptist weekly with my mother. It was in the eighth grade when I realized that I truly needed to get saved. I had been having doubts for quite some time and had never understood how anyone could know one hundred percent-for-sure they were saved. December 2, 1998, I prayed and asked the Lord to forgive me of my sins, to wash me clean in the blood of Jesus Christ, and to use my life to serve Him. Since then, I have not had any doubts of my salvation. Throughout my teenage and college years, I have had a desire to serve the Lord in full time service with a specific burden for missions. After I graduated from Pensacola Christian College, He gave a job in a large teaching hospital, on a floor where I could gain a large amount of experience. My floor had basic pulmonary floor patients, a specialized unit for post-surgical ENT surgeries, and a specialized unit for weaning from the ventilator. In less than a year on that floor, I was asked to be a preceptor of new nurses and was trained to be charge nurse. After three years there, I felt the Lord leading me to make a change. When the door opened at Heritage Christian School, the school I had attended, to teach health and science; I had peace that the Lord was leading me toward the next step in my life. He has given me a love for teaching that I never imagined I’d have. He led to Pensacola Christian College to join their nursing faculty in 2012. To have the opportunity to marry my two passions, nursing and teaching, was both amazing and humbling. Throughout my working years, I was able to take several medical missions trips to Peru, where God continued to work on my heart about missions. In November of 2014, God used a former roommate to introduce the field of Honduras to me, where I felt a call unlike any burden for missions that I’ve had before. I am delighted to say that I am acting on God’s plan for my life to begin my life as a missionary in Honduras. Larry and Lois Clayton have been in evangelism and church planting for sixty-four years! The Lord has allowed them to minister on over seventy mission fields. Their relationship with the Cleveland Baptist Church began in 1964. Since that time, CBC has served as their sending church. Brother Clayton founded SEA (Salvation Evangelistic Association) as a Bible college student in 1956. Even though Brother Clayton is now eighty-one years old, he continues to have strength to travel and to minister. Our journey has been a fruitful, but sad one. We were called of God when He laid a desire upon our hearts to reach our people with the Gospel. In 1995, Bro. Walter Stevens and I went on our first missions trip to reach the Roma of Romania. God blessed the work and still continues to bless with Roma being saved and baptized, churches being planted among their own peoples, and feeding centers started in those villages where the churches were planted. I pastored the GO Ministry at Cleveland Baptist Church under the leadership of Pastor Kevin Folger. My wife and I were called to the mission field in 1998, the time Missionary Walter and Dolly Stevens were leaving to Romania. My Timothy in the ministry, Nick Evanovich, took over the work in Cleveland, Ohio. Sally and I were lead of the Lord to start a work in South Florida, West Palm Beach area. On May 16, 2016, the Lord took my wife Home after battling cancer for 14 years. I have been able to establish a feeding center among the Roma children in one of the villages in Romania. This was always Sally’s desire so we have named it Sally’s Kitchen. A new building for the center was built, and now we are building a bigger sanctuary adjacent to the feeding center. Drew and Alyssa first crossed paths while serving in various ministries of Cleveland Baptist Church; they were married in 2012 and subsequently joined the staff in an internship role. 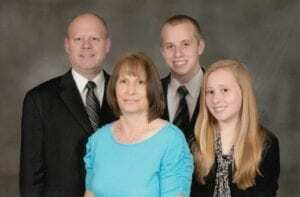 In 2013 the Lord led Drew to assist Pastor and Mrs. Virl Stalnaker in the planting of Majesty Baptist Church in Vancouver, WA, where the Jonkes moved in 2014. They have been blessed abundantly by the opportunity to be involved in a new church’s growth and development! Gary Lukas was saved and baptized at the Cleveland Baptist Church in 1981, studied at the Heritage Baptist Institute, as well as working with evangelist Dr. Larry Clayton and the Salvation Evangelistic Association. In 1994, while pastor of the Faith Baptist Church of Loudonville, Ohio, where he had served since 1986, Gary felt called to the field of Russia. After spending a year in the city of Magadan in the Russian Far East, he relocated to the city of Novosibirsk in western Siberia in 1996, where he began the work of establishing a church. In 2002, Gary was administratively deported from Russia, with the consequence the next year of being denied entrance to Russia for a period of 3+ years. For those years, 2004-2007, he worked with Russian-speaking people in New York City. He was able to apply for entrance once again to Russia in 2007, and returned that year to the church and work in Novosibirsk. Bob and Becky Mach have served in Cote d’Ivoire, West Africa, since 1995. 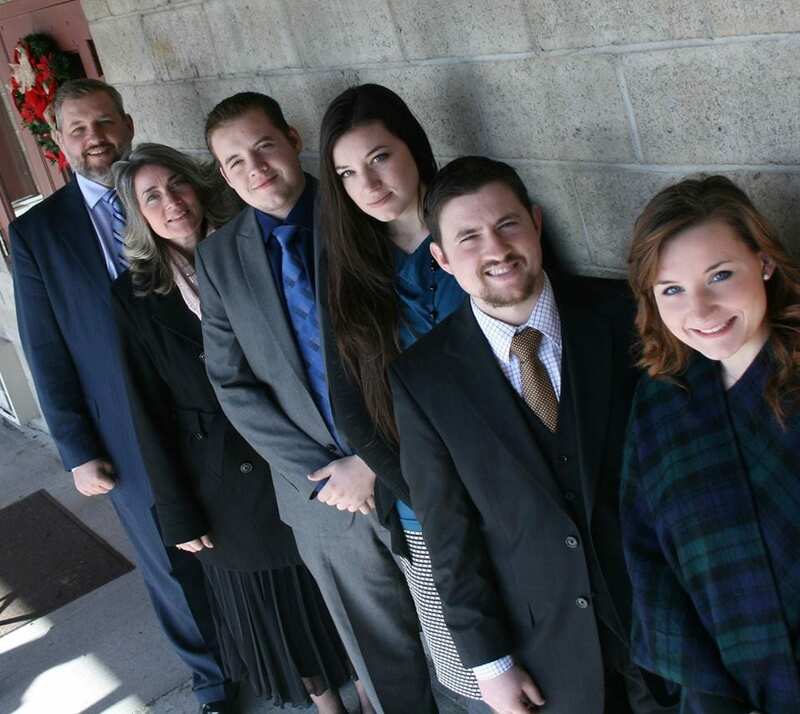 Their four children, Bob, Marylyn, Morganne, and Lucien have grown up working in their parents’ ministries. They have established three churches in the cities of Bingerville and Man as well as in the village of Zanapledougou. Other ministries include a Bible college and seminary, medical, sports and literacy programs. In the future, they are planning to start a Christian school and open a medical clinic. Bob is a graduate of Heritage Christian School. He received a B.A. in Missions and M.A. in Biblical Exposition from Pensacola Christian College and Pensacola Theological Seminary where he is currently in a D.Min program. He has received the Commercial/Instrument Flight Certificate as well as the Airframe/Powerplant Mechanics license. Becky is a very accomplished musician, proficient in violin, mandolin, piano, singing and music arrangement, as well as video and audio production. The Males have been church planters out of the Cleveland Baptist Church for over twenty-five years. They have seen two churches started in Scotland, one in Nova Scotia and one in West Virginia. They have four children, James (27), Isaiah (26), Holly (23) and Heather (22). They are currently starting a fifth church in Halifax, Nova Scotia. Both Jim and Lori graduated from Massillon Baptist College. Joanna Marshall left for a short-term mission’s trip to the Philippines in the summer of 2015. She was in the field for six months and is still praying about her future and the Lord’s will regarding missionary opportunities in Asia. During her time in the Philippines, she has been involved in soul winning, music ministry and working with children’s programs in the local churches. Saved at the age of 19, called to preach at the age of 23, and ordained into the gospel ministry at age 26, Bro. McCombie has been preaching for 44 years. In their early ministry, Mike and Wilda planted two churches and Mike pastored a third church in the Boston, Massachusetts area. Then, at the age of 45, Bro. McCombie felt the Lord’s call as a missionary to Albania in Eastern Europe. There they served 12 years and planted the Gospel Baptist Church in Tirana, Albania and did extensive missions work in the villages and in the neighboring country of Kosovo. Since 2006, Bro. McCombie has been serving as the BIMI Western States Missions Representative. His ministry assists local churches in the Western USA and Canada with their missions programs and in the calling, equipping, and sending of their missionaries. Mike and Wilda have been married for forty-three years and have two children and five grandchildren. meeting/camps, children’s Bible school, and care and counseling for pastors and churches throughout Kenya. Wendy works alongside her husband; along with their son, Timothy, she has visited and worked in some very dangerous areas in their latest ministry endeavor, Grace to the Regions Beyond, where churches have been established in DR Congo and Burundi. For the past two and a half years, the Prangers have been ministering in the city of Krasnoyarsk, Russia. While living in Krasnoyarsk, they have been working at the Krasnoyarsk Baptist Church. They have been involved in many different outreach ministries and working with the youth at KBC. One unique ministry is a five-week long VBS program during the summer that extends to several of the larger villages around the city. Though this, they have been able to reach many children, that otherwise would not have heard the Gospel. Lord willing, in a couple of years, they will begin looking for the place that God will have them start a church. 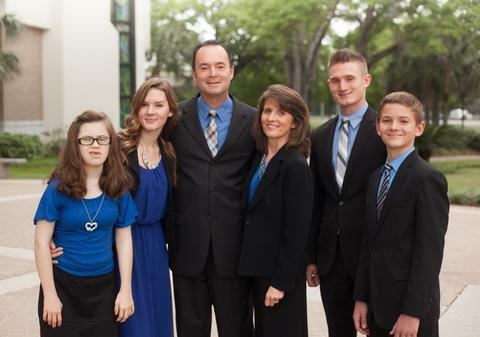 The Pranger family began their missionary journey in 1992. In 1994, after two years of deputation, they arrived in the Magadan Region of the Russian Far East. The Lord used them to start churches in the city of Magadan in the villages of Palatka, Sokol and Ust’Omchug. In 2004, they moved to Krasnoyarsk, in southern central Russia. After three years in Krasnoyarsk, there was a change in visa laws that ended their time in Russia. At that time, they felt the leading of the Lord to Europe. They arrived in Budapest, Hungary, in 2008 to oversee the Bible Baptist Church. They have been there since that time. Church Planting in the Northwest has led them to Vancouver, Washington to start Majesty Baptist Church. They have seen growth in both numbers and in the spiritual condition of those who have been saved and joined with them in this great task of church planting. This past year they celebrated their 5th anniversary with a high attendance of eighty-two. Their church averages sixty each Sunday. The work there continues to grow through the added ministry of the Jonkes who have been a valuable addition. Andrew Jonke was ordained into the ministry during the 5th anniversary celebration. Since going to the field full time in 2003 the Lord has allowed Walter Stevens to help establish three churches in Romania and one and Hungary. During that time he also established the Eastern European Gypsy Baptist Institute, two feeding centers, a food pantry and a girls home for wayward teens. In 2015 he helped launch the Roma Outreach Missions Association. This missions agency is dedicated to reaching the Roma and other marginalized people groups throughout the world. Since the home going of my precious wife, Dolly, in July of 2017, I have been very active in reporting to my supporters (something I have not done for several years due to my wife’s illness). I have been to the field on several occasions, and as president of the Roma Outreach Missions Association, I have been looking for new missionaries to the reach the Roma people, as well as raising funds for our many ministry projects including funds for new church plants. In 2013 the Lord told Josh and Melanie Vickerman he wanted them to be missionaries in Slovenia, but he impressed on their hearts separately that they should first pray to work with veteran missionaries Jim and Laura Pranger in Hungary. A few months later, unprompted, Bro. Pranger invited the Vickermans to come live with them and train in Hungary. In 2014 the Vickermans moved to Hungary and worked alongside Jim and Laura Pranger, teaching in the Bible Institute, preaching in the church there and at other area churches, and helping with church maintenance projects. Mel assisted Laura in planning and preparing for youth meetings, fellowships and banquets; she taught at the Ladies’ Meetings and in the children’s Sunday school, and she joined in the music ministry. Josh’s training also involved overseeing the ministry when the Prangers were away in America or Russia, as well as taking part in two, week-long campaigns, one in Hungary and one in Romania. In March 2016, God told Josh the time had come to move into Slovenia. On April 7thJosh, Melanie and their two children, Isabella and Ian, moved to Maribor, Slovenia where they have been ever since.